Everybody has a story. Much of that story is out of our control. However, there is at least one thing within our control, the choice to discover who we want to become. The person we want to be. No matter our circumstances, it is our duty. We owe it to ourselves. We are here for a reason. When we’re born, we have no ability to understand why. Our circumstances shape us throughout our childhood, and they either hinder or help our ability to clearly see why. Most of the time, they distort our vision. We get off track. We get hurt, experience pain and loss or let our ego’s drive us. We journey in to adulthood and lack a firm foundation on which to make good decisions and form good habits. We don’t develop a “front sight focus” on establishing a relationship with the One who created us. This relationship enables us to set the proper foundation. There’s good news. No matter how many chapters of your story are written, they’re still your story. And as long as you have breath, you can choose to control how the story ends. That choice is committing to discover who you want to be, which is in sync with why you are here. MindWolves™ is a community that supports everyone’s quest to build who they want to be. 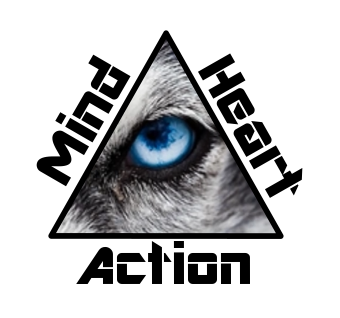 This community is our pack, a group of people who have achieved or are committed to finding the proper mind-heart balance. They exhibit the character qualities conducive to living a meaningful life. Within the pack, a member has their own story, yet understands they are part of something bigger than themselves. The whole pack is greater than the sum of the parts. Each member understands they are uniquely created and contributes their story to the pack. The pack is stronger with each new member. And because each member is continually strengthening their relationship with God, who is working within them, they are able to accomplish infinitely more than they might ask or think. Build who you want to be and build the real you.